The Obama administration’s overtures towards normalizing trade with Cuba has activated more than 30 agricultural groups and businesses hoping to see the market open up for Americans. 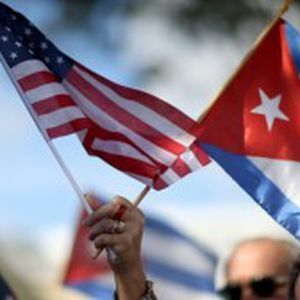 The various groups have organized themselves under the banner of the United States Agriculture Coalition for Cuba with its stated mission to end the 54 year old trade embargo with Cuba. The logic is quite simple – Cuba’s 90 mile proximity to the US and the fact that they import 80% of their food makes for a promising new market for American agriculture. The US Department of Agriculture (USDA) reports that Cuba imported $415.2 million in agricultural commodities in 2013 and $300 million in the first 11 months of 2014. “We are a natural supplier of ag products to Cuba,” said Sen. Jerry Moran, R-Kan. He said his constituents know if something hasn’t worked for 54 years, then something else should be tried. He called on the Treasury Department to make it easier for credit to be offered to Cubans who want to place orders for American products. Democrat Jay Nixon, Governor of Missouri said he believes that Cuba’s 11.3 million citizens are eager to buy US agricultural products. “Our compatriots on the other side are just as excited about the opportunities as we are,” said the governor. As a small boutique ag-focused executive search firm, we at AgriFind and The QualiFind Group are also hoping to see the trade embargo ended and trade in human capital opened up with our Cuban neighbors.